By attending the session participants will acquire knowledge and tools useful when developing a CSR strategy in your company. This will especially be relevant for companies who would like to work with geographically defined communities – e.g. in the immediate vicinity of where the company is located. You will be taken on a journey to a world of Active Citizens - a social leadership training programme that promotes intercultural dialogue and community-led social development. The programme builds leadership capacity and project management skills, which support grassroots community development. The Active Citizens graduates then go on to start community development projects in their own communities, and cascade their learning to other community members. Participants will learn how Active Citizens methodology was used in USA in cooperation with Barrick Gold, who were looking for a sustainable community development model to work with the Western Shoshone, as part of their corporate social responsibility. 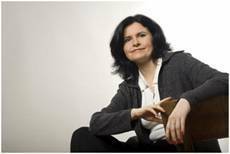 The session will be run by a British Council Head Education and Society, Ewa Puzdrowska. Ewa Puzdrowska studied Philosophy at Warsaw University. Since 1994, she has been working at the British Council, implementing Phare, World Bank and Know How Fund projects supporting democratic transformation in Poland, and country’s accession to the European Union. Post –accession, as Head of Poland’s Society and Science programmes, she worked closely with NGOs, public sector, higher education and research institutions supporting British-Polish collaboration, especially in the field of diversity and multicultural education. From 2006, she was regional manager for Intercultural Navigators and then Active Citizens projects in Europe, and now she leads on Poland’s Education and Society work. She is passionate for intercultural dialogue, equal opportunities and diversity. We look forward to seeing you on 17 May at the British Polish Chamber of Commerce premises. The meeting will be held in English. Participation is free for BPCC members. Places are limited so we kindly ask you to limit representation to two persons per firm. Non-members will be only be able to take part if there are vacancies, at a price of 150 zł + 23% VAT per person (payable upon receipt of invoice on the basis of a completed registration form). On 15 March 2017, a joint meeting of the BPCC policy groups for HR and Corporate Social Responsibility considered the benefits that businesses may draw from cooperation with the International Organisation for Migration (IOM) in Poland.